Viruses, worms, Trojan horses and the like often perform malicious acts, such as deleting files, accessing personal data, cause widespread damage, or using your computer to attack other computers. Antivirus software is an important tool to help prevent such attacks. While not every type of attacks can be prevented with antivirus software, but it can be a great asset when trying to prevent intrusion into a computer. In order to keep your computer healthy and safeguard it from incoming threats, hackers, viruses, and worms, having an antivirus software program on your system is a must. One of the most consistently featuring top antivirus software, Bitdefender Antivirus is compatible with Windows 7 (SP 1), 8, 8.1 and 10. It comes in three different forms, the Plus, Internet Security, and Total Security. The Bitdefender Antivirus Plus is a very good option for your PC against the latest online threats including those that stem from professional hackers and identity thieves. It has a rich set of security features and intuitive user interface. It also offers an autopilot mode for a no-hassle protection, enhanced password manager, vulnerability scan and protection against ransomware. Avira Antivirus Pro is a stronger antivirus than most of it’s competitors and is compatible with Windows 7, 8, 8.1 and 10. Avira plugs the holes Windows Defender often leaves open with a strong and proven track record for virus detection and protection in third-party tests. The process of installation is easy to perform. Also, the process of tracking ongoing security operations is more simplified now and the scan customization is optimized for a better user experience without using up too much of your computer resources and creating lag. The Device Protection and Browser Safety modules, in particular, are some of its best additions. The new Norton Security 2018 comprises of Norton Security Standard, Deluxe, and Premium as a replacement for Norton 360, Norton Internet Security, and Norton AntiVirus and is compatible with Windows XP, Vista, 7, 8, 8.1 and 10. The user interface is easy to use. It detects and removes viruses while ensuring that there is no loss of performance in exchange for protection. It turns off unnecessary programs that slow down startup times to help your PC run faster and more efficiently. It also includes Rootkit protection, Pulse updates, Norton Insight, Norton Download Insight, SONAR behavioral protection, and Vulnerability protection. Kaspersky Antivirus is an excellent program that can efficiently detect and block malware threats on your computer in a very short time and is compatible with Windows XP, Vista, 7, 8, 8.1 and Windows 10. The software doesn’t slow down your computer and allows you to perform your daily tasks at the same speed as before. Kaspersky’s newest antivirus keeps you away from those infected websites so that you can navigate the world wide web peacefully. Most importantly, it doesn’t allow cyber criminals to change the antivirus’ main core. Avast Pro Antivirus provides complete protection for your computer and home network and is compatible with Windows XP (SP3), Vista, 7, 8, 8.1 and 10. It does pretty well in terms of protection and usability. The setup is considerably faster, and there are less screen activity and interruptions. Its redesigned user interface makes navigation much better than before especially for new users. It has a very high antivirus detection rate, can detect and repair the main security problems of wireless networks used to connect computers, and remove unwanted infections caused by malware and viruses. McAfee is a step up from the basic protection provided by Microsoft’s Windows Defender and is compatible with Windows 7, 8, 8.1 and 10. It is good at detecting and blocking malware threats and correctly identifies harmless files. It doesn’t create as much lag and loss of computer resources as some of its competitors. 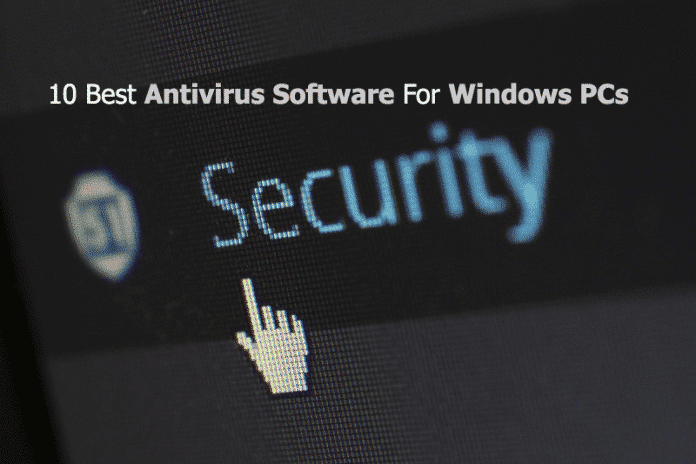 While it is very easy to install and use, the most important features, such as real-time scanning and automatic updates from the global virus database, are automatically enabled as soon as you install the program. The software protects against ransomware and it scans your incoming email messages and their attachments to ensure any malicious files they hold don’t infect your computer. It also automatically scans the USB devices that you plug into your computer. ESET Nod32 Antivirus protects your Windows computer from malware such as viruses, worms, Trojans, spyware and rootkits and is compatible with Windows XP, 7, 8, 8.1 and 10. ESET Nod32 is probably the easiest program to download, install and use. It recognizes ransomware and differentiates between benign and harmful threats. The integrated email protection scans for viruses and other malware in messages you receive and their attachments. The software also scans USB drives immediately after you plug them in to protect you from external threats. ESET scans files in real time as they open to ensure malicious files don’t cause any problems. This software is especially good at detecting and blocking phishing schemes, threats that try and trick you into giving personal information that is then used to steal your identity. AVG Internet Security 2018 is an efficient program that keeps malware and ransomware away from your system and is compatible with Windows XP (SP 3), Vista (SP2), 7, 8, 8.1 and 10. It takes up less storage space, runs faster, and you can also use it on old or slow devices. AVG comes with PC tune-up, drive encryption, along with the latest cloud-based protection feature. Other supporting features include antispam, encrypting and hiding files, firewall and email protection, webcam prevention, web browsing protection, and protect your data and identity against theft online. Panda Antivirus Pro 2018 allows you to prevent other users from accessing your most confidential and sensitive data and is compatible with Windows XP (SP 3), Vista, Windows 7, 8, 8.1 and 10. It has a user-friendly interface and is easy to use and maintain. It minimizes resource usage, gives guaranteed service availability, and constant system monitoring. Panda Antivirus Pro offers antivirus protection with URL filtering to block malicious links and websites. Bullguard Antivirus 2018 is good at detecting and removing malware as well as blocking dangerous URLs. It is compatible with Windows Vista, 7, 8, 8.1, 10. It features support and tools to deal with all kinds of problems from spyware to rootkits and Trojans and a multitude of Windows versions. It also offers encryption with its backup feature, from where you can set up backup profiles, then run or edit them. It also has a vulnerability scanner to detect easily exploited, outdated software, strong backup for file safety in case of a system crash or computer loss, antispam filter, and automatic PC tune up.